One of the biggest irritations for motorists – and one of the most damaging to cars – is the dreaded pothole. Everyday, South African motorists face the risk of tyre and rim damage caused by potholes, damaged roads and road construction. Apart from posing a serious threat to the safety of motorists, hitting a pothole has the potential to damage crucial vehicle components such as tyres, rims, shocks and mags – which will set you back financially if you choose to get your vehicle repaired. According to a recent report, approximately 6 out of every 10 cars taken to a tyre centre in Gauteng alone, were damaged as a result of potholes. In addition to this, the number of vehicles taken in for tyre replacements is now reported to have more than doubled compared to three years ago. 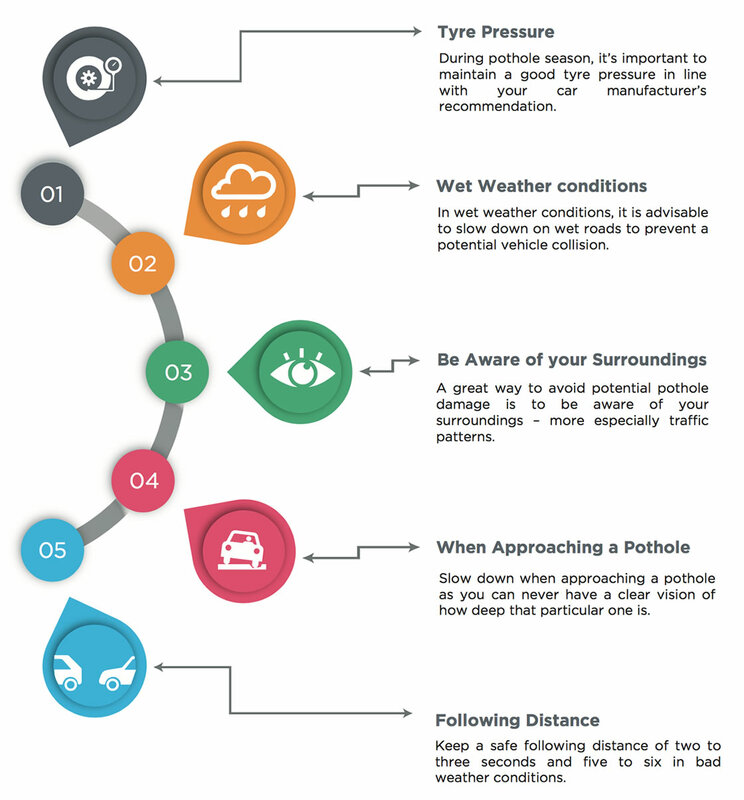 The reality is that no matter how careful you are, as a motorist you can’t avoid pothole problems entirely, and with the recent spell of heavy rains in certain parts of the country, you can expect potholes to be around for some time. Vehicle damage due to potholes is a reality that all motorists need to consider. This is why Beame customers can sign up for Beame Protect’s Pothole Assist – a service that will help relieve the financial burden of getting your tyre, mags and rims repaired as a result of pothole damage by completing the full claims process on your behalf. Beame’s Pothole Assist offers you full representation and will try recover 100% of the repair or replacement cost from the relevant authorities, including guaranteed exclusive discounts on tyre related products from any Tiger Wheel & Tyre nation-wide. So you’ve hit a pothole and damaged your car as a result? Now what? Sign up for Beame Protect today at only R79 per month – register your claim online and let Beame assist you in recovering your payout from the Road Authorities – at no extra cost to you.